Aloha everyone! 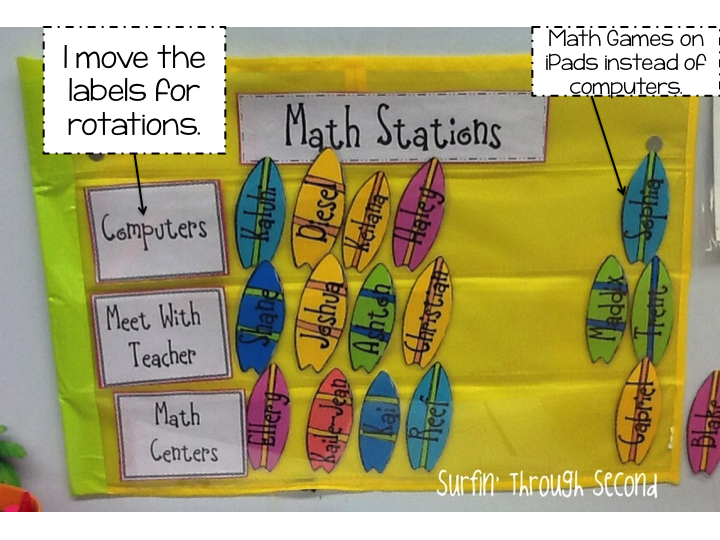 I have been wanting to share how my math rotations have been going this year. This is the first time I have ever done them thanks to Debbie Diller and her fantastic book. I read the book this summer and was so inspired to try it out in my class. 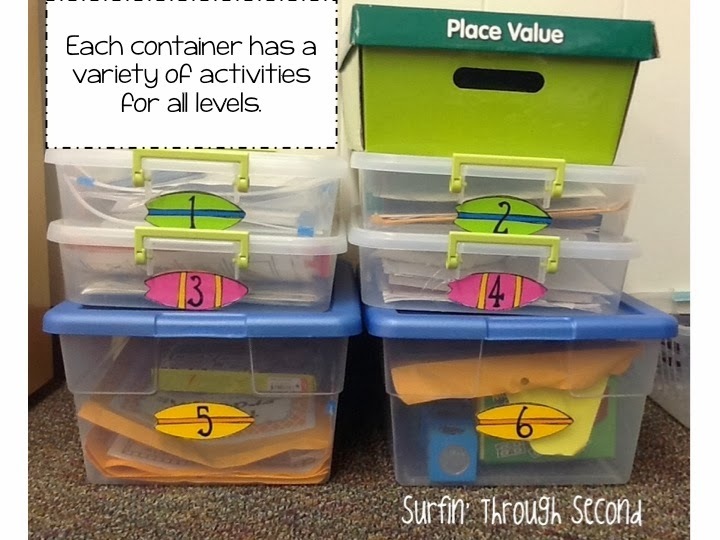 I purged a lot of my math manipulatives and set up my math tubs. 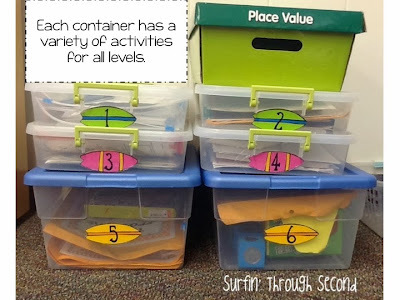 Each container has a number and has a variety of activities that cover a certain skill. I change them out each month to keep it interesting. 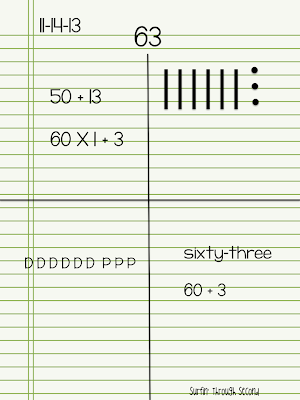 This last month the skills included, place value, working with tens, basic fact fluency, skip counting and number sense. This year I also received a grant for the Reflex Math Program. This is a fact fluency online program that many teachers had been raving about. I applied for their grant and received it for my class for a full year! I was so excited, but each child needs to access the program at least 3x a week. I only have 4 computers in my class and this program is not accessible on i Pads. So this is how I set up my rotations. All I do is change out the Computer, Meet With Teacher and Centers Tags. 4 times per week I have rotations so that each student can have time to get online. So far it has been working out really well. Our school uses the Go Math program. I meet with my students on the carpet before we begin our rotations and share what we will be working on in our small groups. I teach the same lesson to three different groups and differentiate for each of their needs. I meet with my struggling group first to make sure they have enough time to get through the lesson. The following groups are able to pick up new concepts quickly and usually have not problems. My accelerated learners are able to get through the lesson with minimal help. They work on enrichment activities and games if they complete their assignment before their time with me is up. I would say each group is around 15-20 minutes. 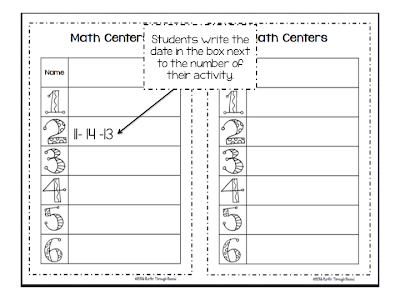 The students at Centers start out with Calendar Math before they choose their box of activities. In their math journals they write down the date, the number of the day, 2 number sentences, base ten model, coins, expanded form and word form. Most of my students are able to get through this very quickly. I am so happy to see how much they have progressed. Once they finish this they grab their rotation menu and head to a center of their choosing. They cannot repeat a center until they have completed all of them. It's an easy way to keep everyone on track and practicing all of their skills. Click on the picture if you would like a copy. It took a lot of planning and prep, but I have to tell you it has all been worth it. I am able to focus on the lessons and differentiate for each group. My students really like it and they are progressing so well with the Reflex Math program. I was actually alerted today that one of my students has achieved mastery and is now ready to move onto multiplication! My only problem now is time! I just can't get through my rotations in an hour. I honestly need another half hour to really make this flow, but sometimes you just have take what you can get. 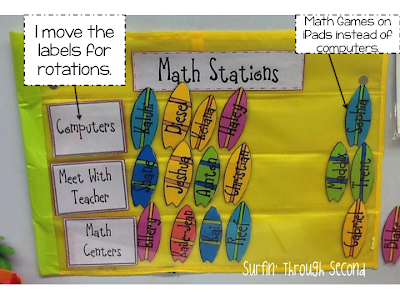 Do you have math rotations or follow a routine you really like? I would love to hear about it. Wow this sounds exactly like how I want to restructure my math block. A group of teachers in my school just received a grant from Montclair University to work on bringing centers into our classrooms. We are so excited to get started. 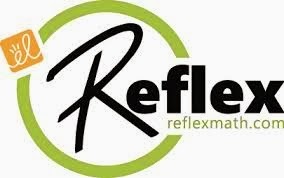 Is the grant opportunity for the Reflex math program still available? If so, would I just go to their website to apply? I love reading your blog because you have so many great ideas and you inspire me to change my style of teaching. Thank you! Thank you so much Jen! Yes, just go to the Reflex Math website and click on Techer Grants. You can apply right there. this looks amazing. i have been trying to figure out how to have math ( and reading) group/rotations in my 2nd grade class. I meet with each group for about 20 minutes. Maybe you could map out your lessons and distribute what you are teaching over the course of your week. On the assessment I just use what is provided by Go Math, but I do use the version that has the extended response. This helps to add that differentiation for my upper kids and push them a bit more. We use GO Math too. And I love Debbie Diller's book. I have yet to integrate the two. I'm not so good at groups. I get tired of teaching the same thing (with modification for levels, of course) over and over. One question, how big are your groups? You said you teach the lesson to 3 different groups. If I divided the class into 3 groups, it would be 8 students per group. Is that about right? I'd love to hear more about your math instructional time. You've given me much here to consider. Thanks. 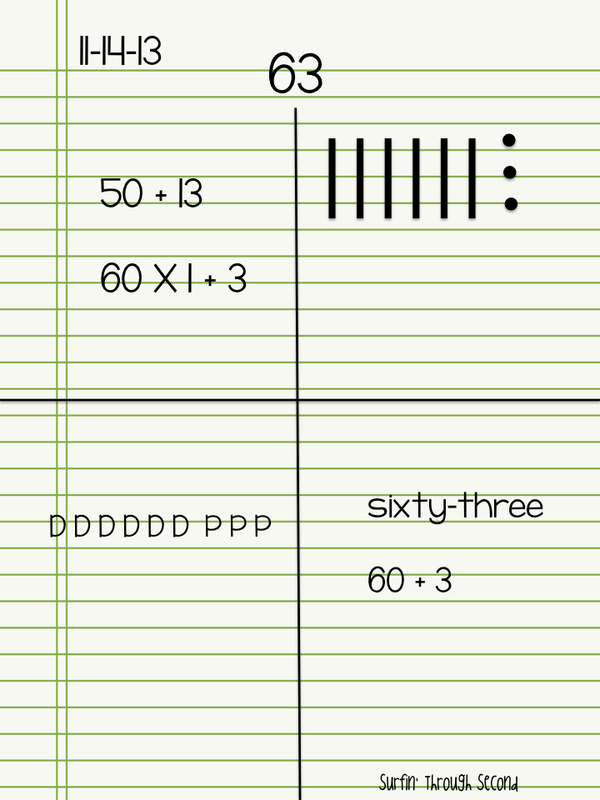 Do you do a whole class math lesson? Do you do an assessment and then plan for each group that way, with a follow-up assessment? Grades?